You can travel through space even while nature calls. Japanese toilets have long been a mainstay in Asian households, but the concept is still something of a curiosity in much of the Western world. 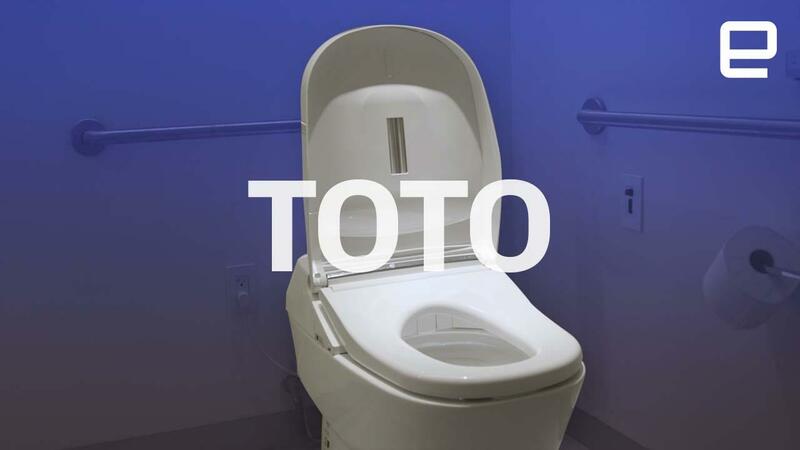 Toto, Japan's biggest toilet maker, has attempted to market its high-tech commodes to American audiences for decades with little success. The company is trying to change all this with a brand new "experiential" showroom that launched this week in San Francisco. It's called Concept 190, and it's equipped with four sensor-laden bathrooms where visitors are invited to pee, poo and have a toilet experience unlike anything they've had before. The magic starts the moment you open the bathroom door. The lights come on and the toilet seat lifts up automatically. Once you place your derrière on the heated seat, the lights will dim and the room projectors will kick into action. In our demo, the projectors filled the entire room in a full on space adventure as we followed a spaceship through the starry skies. It sounds pretty silly, but I have to admit it was kind of hilariously amazing to have this kind of theme park experience while sitting on a toilet. Of course, Toto won't actually install these projections in your bathroom. The point of these experiential installations is to encourage visitors to actually, you know, try these toilets out. All of the models in the Concept 190 showroom are completely functional -- the seats are heated and the bidets spray water. They can spray both the front and back of your nether regions, and you can control the pressure, the position of the spray and the temperature of the water and the seat. Most of the toilets are also self-cleaning; one even has a UV light that interacts with the glaze of the bowl to electrolyze and clean the water. The showroom doesn't have regular office hours, but they do plan to hold scheduled public events throughout the year. Combined with the art projection experience, Toto hopes that the showroom will spread by word-of-mouth and be something of a destination. And in so doing, help remove some of the cultural stigma around talking about cleaning our private parts. Still, the toilets are pretty expensive -- prices start at $500 and go all the way up to an eye-watering $10,000 -- and Americans aren't really used to paying these kinds of prices for lavatories. But Toto is hoping that if you try it out for yourself, you could change your mind.